The bull elephant loomed over us. We knelt low to the ground. My guide Stretch Ferreira was calm, but my heart was pounding in my chest. We were in Mana Pools National Park in northern Zimbabwe, a place where visitors can walk freely among the wild animals. 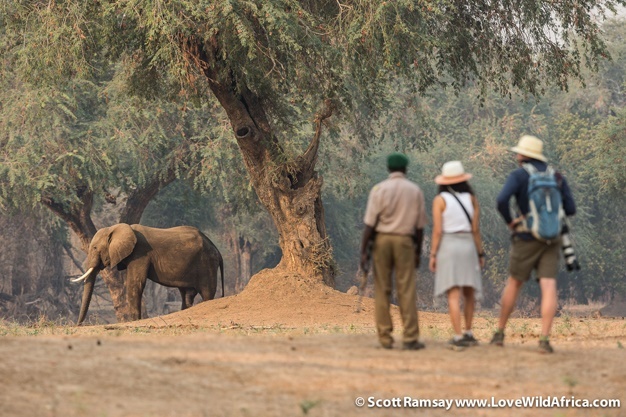 The bull elephants on these floodplains of the Zambezi River have come to trust a few of the most experienced safari guides. Stretch has guided here for more than 30 years. He knows each bull by sight, and they know him. Stretch placed a few acacia pods on the ground, and the bull walked even closer to us, picking up the pods with his trunk and crunching them between his molars. We sat quietly as the elephant stood within touching distance of us. After several minutes, he moved off quietly, leaving us awestruck. 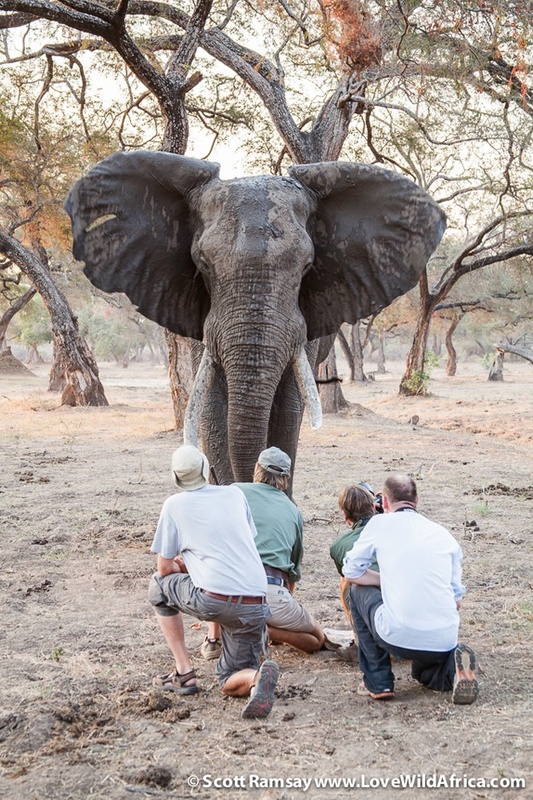 Hundreds of visitors in Mana Pools are able to encounter elephants up close every year, guided by experts who know how to read the animals’ behaviour. 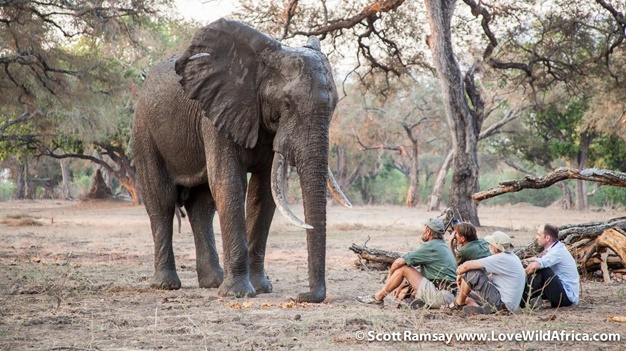 The trust that elephants have for humans is exceptional. Yet in most of Africa elephants and humans are not on such good terms. Accurate estimates suggest that there were 12 million elephants in the early 1900s. Today there are only 350,000, which includes both savanna elephants (Loxodonta africana) and forest elephants (Loxodonta cyclotis). That’s a 97% decline in a century. And the killing is accelerating. 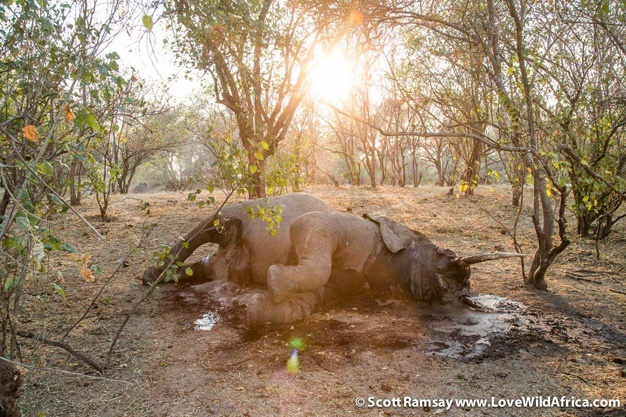 Poachers are currently shooting elephants at a rate of about 100 per day, or about 30,000 every year. In other words, about 10% of the population is being wiped out ever year. More elephants are being killed than being born. ‘Poachers’ is a euphemistic term for what is actually a highly organised network of criminals. In East, Central and West Africa, terrorist groups like Lord’s Resistance Army and Al Shabab are slaughtering elephants in their hundreds, using helicopters, AK47s, rocket-propelled grenades and night-vision goggles. There is big money in ivory, mostly in China, and it funds the criminal networks handsomely. According to National Geographic, a pair of ivory chopsticks can sell for several thousand dollars, and carved tusks can sell for hundreds of thousands of dollars. While southern Africa’s elephant population on the whole is mostly stable, the rest of the continent has seen a catastrophic decline. Tanzania has lost 60% of its elephants in the last five years, down to just 44,000. Mozambique has fewer than 10,000 elephants in the whole country, a loss of 48% in the last five years. The forest elephants of Central and West Africa – a separate, but closely related species to the savannah elephant – are crashing too. About 65% of the total number of forest elephants have been killed in the last 12 years. Elephants of most African countries are currently listed on Appendix 1 of CITES, the international organisation that administers the trade in endangered animal species and their body parts. According to CITES, “Appendix I lists species that are the most endangered. They are threatened with extinction and CITES prohibits international trade in specimens of these species”. However, elephants from South Africa, Namibia, Botswana and Zimbabwe are currently listed on Appendix II. According to CITES, “Appendix II lists species that are not necessarily now threatened with extinction but that may become so unless trade is closely controlled.” Until 1989, all elephants in Africa were listed on Appendix II, which allowed restricted trade in ivory. But as a result of the trade, poaching increased dramatically, and in 1989 all elephants were listed on Appendix I, effectively banning ivory trade. The price of ivory immediately fell, and poaching declined quickly. For eight years the ban remained in place and several countries – like Kenya, Gabon, Chad, Mozambique and Zambia – burnt some or all of their ivory stockpiles. Elephant populations recovered to such an extent that in 1997 Botswana, Zimbabwe and Namibia proposed to list their elephants once again on Appendix II. The ban on ivory trade for these countries was lifted, and in 2000 the ban was also lifted for South African elephants, but only included trade in leather goods, not ivory. The lifting on the ban of ivory sales from the Southern African countries stimulated demand for consumer ivory in Asia, and immediately caused poaching to increase. In 1999, Japan bought 55 tons of ivory legally, and in 2008, China bought 73 tons, and actively promoted the trade in ivory carvings. But despite the gloomy statistics, there’s been some good news for elephants. Due to intensive lobbying from conservationists, the Chinese and US governments have recently agreed to institute near complete bans on trade in ivory in their countries. This includes the importation of trophy hunting elephant heads and their tusks. And the first signs of this ban are promising. Ivory prices in China have fallen by half in the past 18 months, from US$2,100 to US$1,100 per kilogramme. Could this be the start of the resurgence of elephant populations in Africa? – Donate money to organisations like Save the Elephants and WildAid. These organisations are affecting change both in Asia (to reduce demand among consumers), and in Africa (to help protect elephants in the wild from poachers). 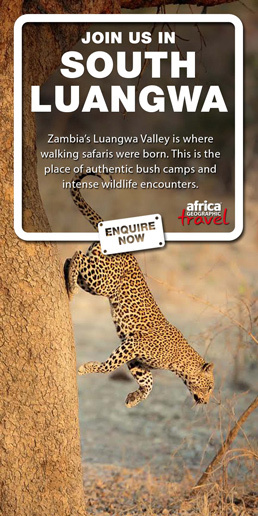 – Visit the national parks of Africa where elephants still live. 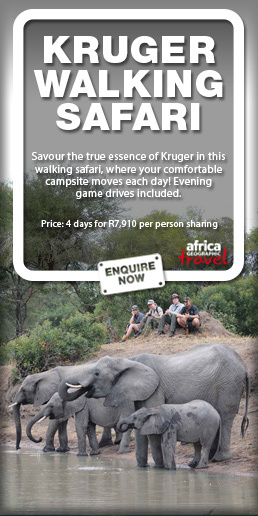 Kruger, Chobe, Gorongosa, Mana Pools, Hwange, Addo Elephant, and Etosha. Your tourism money provides a valuable source of income and employment for local communities, many of which have to live in close – and sometimes dangerous – proximity to elephants. – Speak up. Talk to your friends, your family and your colleagues. Spread awareness.